Medical implants mimic the softness of human tissue by mixing liquids such oil with long silicone polymers to create a squishy, wet gel. While implants have improved dramatically over the years, there is still a chance of the liquid leaking, which can be painful and sometimes dangerous. Now, led by David A. Weitz, Mallinckrodt Professor of Physics and Applied Physics at Harvard John A. Paulson School of Engineering and Applied Sciences (SEAS) and associate faculty member at the Wyss Institute for Biologically Inspired Engineering at Harvard, a team of polymer physicists and chemists has developed a way to create an ultra-soft dry silicone rubber. This new rubber features tunable softness to match a variety of biological tissues, opening new opportunities in biomedical research and engineering. The material is featured on the cover of the journal Advanced Materials. 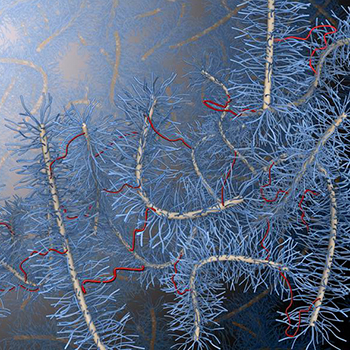 In order to fabricate a soft elastomer, the team needed to eliminate the entanglements from the beginning by developing a new type of polymer that was fatter and less prone to entanglement than linear polymers. The polymers, nicknamed bottlebrushes, are easily synthesized by mixing three types of commercially available linear silicone polymers. The softness of the elastomers can be precisely controlled by adjusting the amount of cross-linked polymers to mimic everything from soft brain tissue and relatively stiff cells. In addition to controlling the softness, the team also found a way to independently control the liquid-like behavior of the elastomer. These qualities make the material not only ideal for medical devices, such as implants, but also for commercial products such as cosmetics. “The exceptional combination of softness and negligible adhesiveness will greatly broaden the application of silicon-based elastomers in both industry and research,” said Weitz. In addition to his role on the faculty at SEAS, Weitz is the director of Harvard’s Materials Research Science and Engineering Center, co-director of the BASF Advanced Research Initiative, a member of the Kavli Institute for Bionano Science and Technology, and an Associate Faculty Member at the Wyss Institute for Biologically Inspired Engineering. In addition to Cai, Kodger, Weitz, and Rubinstein, coauthors included Rodrigo E. Guerra, Ph.D.’ 2015, now a postdoctoral fellow at New York University; and Adrian F. Pegoraro, a postdoctoral fellow at SEAS. This research was supported in part by the National Science Foundation (DMR-1310266) and the Harvard Materials Research Science and Engineering Center (DMR-1420570). 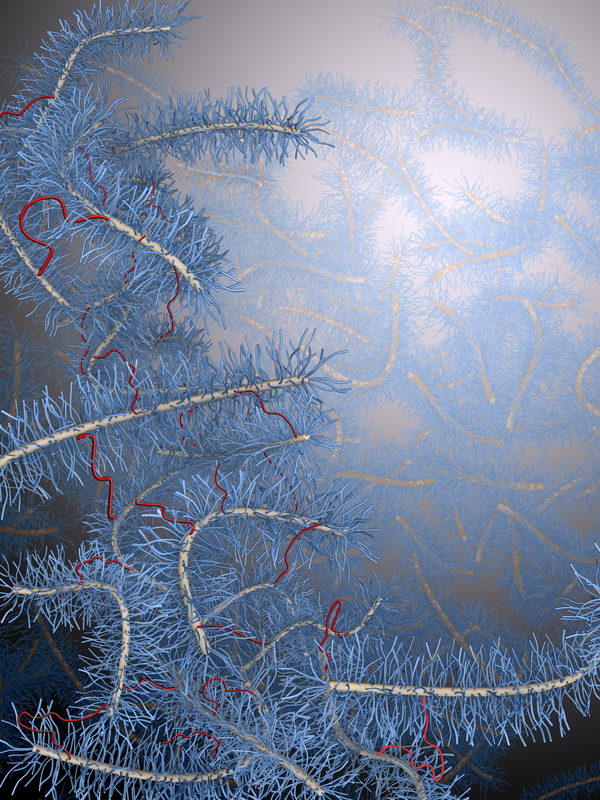 Ultra-soft elastomer fabricated by crosslinking bottlebrush polymers contains only crosslinks (red chains) and no entanglements.